Topics: Mountain Biking, Cabin Amenities & Rates, Camping Amenities & Rates, Great Grub, and The Barn At Mulberry Gap. mulberrygap.com The Barn at Mulberry Gap | Venue rental space in the North Georgia ..
82 users visit the site each day, each viewing 3.50 pages. Monstercommerce Llc (Illinois, Belleville) is the location of the Apache/2 server. 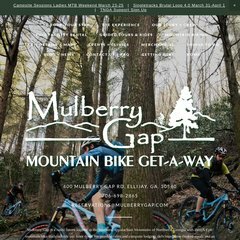 Mulberrygap.com's IP address is 206.188.192.17. It has 2 DNS records, ns48.worldnic.com, and ns47.worldnic.com.